Many people have allergies to harsh chemicals or you value using environmentally friendly cleaning products. Perhaps you have wanted to switch to Eco-friendly cleaning products but feared they might not be as effective. 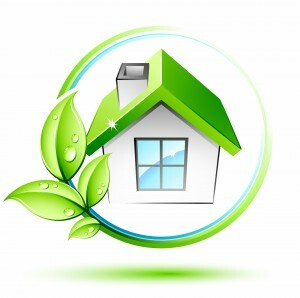 House Cleaning Melbourne offers a variety of Eco-friendly cleaning products, organic cleaning products, and techniques that encompass green cleaning and natural cleaning. House Cleaning Melbourne has done extensive research and testing of the Eco-friendly cleaning products on the market and have selected products for use, we feel are as effective as harsher cleaning products. The subtle difference between Eco-friendly cleaning and organic cleaning is that organic cleaning products are compounds that are plant based. Eco-friendly products may include plant based compounds but also include minerals, such as borax, soda, others that do not harm the environment. Both organic cleaning and Eco-friendly cleaning can be part of green cleaning and natural cleaning. While these earth friendly products are just as effective, they are most expensive, but not a great deal more. As a customer opting for earth friendly cleaning products, you should expect to pay approximately 10% more for standard cleaning services offered by House Cleaning Melbourne. Not a great expense to contribute to saving the planet. *Fees will vary dependent on the number of baths, windows and square footage. The following list of additional cleaning services offered is not a comprehensive list of all of our services. It is intended to give customers an understanding of the range of services offered by House Cleaning Melbourne. If you are confused or need help deciding if you want to use Eco-friendly cleaning products or organic cleaning products, give us a call and schedule a free consultation in your home or our office. House Cleaning Melbourne prides ourselves on being able to educate customers about the many choices available and the subtle differences between them. Our aim is help you understand the scope of cleaning products so that you can make an informed decision based on you and your family’s needs, values and budget. We guarantee you will not be pressured, cajoled or pushed into ordering anything that you did not want. It is our policy to inform, educate and allow individuals to make their own decisions. House Cleaning Melbourne is a locally owned full range cleaning company serving the Melbourne area for over 25 years. We consistently provide quality cleaning to both businesses and individuals throughout the Melbourne greater metropolitan area. While we cut our teeth cleaning for commercial entities such as restaurants, hospitals and apartment complexes, we believe our residential customers will benefit from our years of commercial experience. House Cleaning Melbourne still contracts with many businesses but no contract will be turned down.